Michelle Obama’s memoir tops Amazon best-seller list days ahead of release – Because in this game of life the more you know the better player you will be. 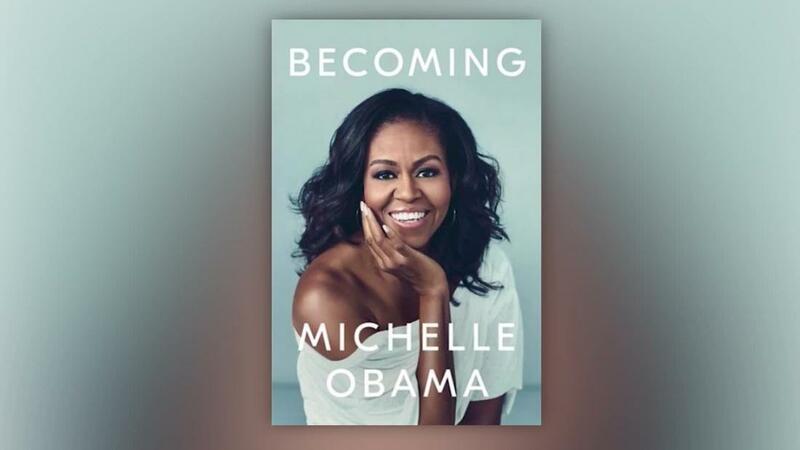 (CNN) Michelle Obama’s book “Becoming” shot to No. 1 on Amazon on Friday, and it’s likely to stay there for a while. In a year defined by Micheal Wolff’s “Fire and Fury” and Bob Woodward’s “Fear,” Obama’s memoir is a different kind of political book — there’s some criticism of President Trump, yes, but it is largely about Obama’s own life and experiences. Early headlines have highlighted both the anti-Trump comments and the Obamas’ challenges with infertility. For the first time, Obama shared that both Sasha and Malia were conceived through n vitro fertilization, or IVF. ABC followed up on Friday morning by airing a preview of Robin Roberts’ interview with Obama. On Friday evening ABC shared clips from the audiobook edition of “Becoming,” so listeners could hear Obama speak about Trump in her own voice. Roberts’ full interview with Obama aired as a one-hour special on ABC Sunday night. And Jenna Bush Hager will interview Obama for NBC’s “Today” show. That, too, will be taped on Tuesday in Chicago, and air on Wednesday. Network morning shows are usually hyper-competitive about guests. Oftentimes shows won’t accept going second or third for an interview, and they’ll just skip the guest instead. But Obama is the rare guest who can sweep ABC, NBC and CBS in the same week. The hook for Bush Hager’s interview is that she lived in the White House before Obama, as one of George W. Bush’s daughters. Other stories about “Becoming” are hitting the magazine shelves. Obama is on the cover of ELLE magazine’s December issue. And Oprah Winfrey interviewed Obama in front of a live audience for a feature in O, The Oprah Magazine. Both ELLE and O are Hearst titles. “Michelle Obama is still optimistic” read the banner headline on Elle.com on Monday morning. Around the same time that feature came out, Winfrey announced on Twitter that “Becoming” is her next book club selection. “I’ve known Michelle for 14 years, but this book is so vulnerable, I felt like she was in my ear,” Winfrey tweeted. A few hours later, People magazine came out with its own feature. “Michelle Obama: My Own Story” is the cover of this week’s issue. “Becoming” has been in the works for more than a year and a half. It had already received a sizable number of pre-orders before the promotions ramped up last week. That’s when it jumped from No. 10 on Amazon to No. 1. It hasn’t moved since. Amazon’s best selling books list is updated every hour. It is a pretty reliable guide to what will eventually end up on The New York Times best sellers list.